These delightful works by Victor Frisch preside playfully over the gateway entrance of Rumsey Fields. 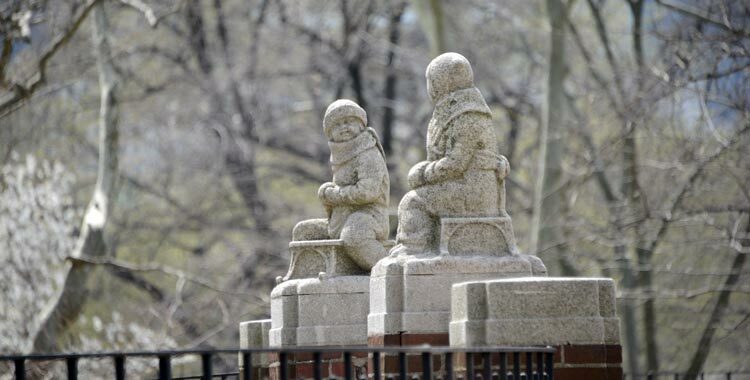 Perched atop their sleds and bundled in scarves and winter gear, the cast-stone children look at one-another as visitors pass below. They came to Central Park in 1938. East Side at 71st street, entrance to Rumsey Playfield.